The age-old question that arises as we strive to find a response (as well as a cure for) is: What causes sensitivity? Patients enter the office with complaints of sensitivity in various areas of their mouths, often caused by a variety of reasons. They want it to be treated without incurring additional pain. Until we can establish the cause, we are not able to make recommendations for a remedy. Sensitivity can be caused by a number of occurrences in a person's daily life. Most often, we are aware of a patient's sensitivity by their personal description of when and how often it occurs, as well as the magnitude of these sensations. Many patients claim it "always happens when I do …" So they tend to steer clear of anything that "always" makes it happen. There is also the concern that "it caused sensitivity to my friend, so it will do the same for me, " which is not necessarily true. Thermal changes, tactile sensation, and cosmetic and chemical alterations are all culprits in causing the effect of sensitivity. Several possible etiologic and predisposing factors are noted for dentin hypersensitivity. Dentin tubules may become exposed as a result of enamel loss from attrition, abrasion, erosion, or abfraction.1 We know that sensitivity occurs on natural teeth when drinking or eating acidic foods; with extremely hot or cold temperatures; and during the teeth whitening process. A chemical reaction occurs during teeth whitening, and it is thought that, during this process, the dentinal plugs within the tubules are released. These plugs have been formed in the dentinal tubules to decrease sensitivity. When released, there is fluid flow internally, which excites the pulpal tissue and causes sensitivity. If this truly is how the process occurs, then replacing these plugs as we whiten, or before and after treatment, we will be able to alter the pain sensations while accomplishing the goal of whitening. Conversations with colleagues indicate that many want to recommend whitening to their patients, even though they know it may cause sensitivity. Others do not recommend whitening because it may cause sensitivity. Options and protocol can guide us to work with patients, satisfying and meeting their needs. A patient can simply search on the Internet and find a multitude of remedies to alter their sensitivity issues when whitening, or at any time. As clinicians, we can guide them to the solutions that are right for their personal situation and cover all bases - not just the pain. I did the normal patient internet search and found a variety of solutions on sites such as and The sites address the tooth whitening process and offer suggestions on how to combat any sensitivity. The suggestions include soft toothbrushes, lukewarm water, anti-inflammatory drugs, and fluoride. Most sites also advise discussing options with a dental professional - a good thing! Internet searches, as well as dental professional journals, provide a multitude of articles about sensitivity. Applying this information as well as sound recommendations on what to use with whitening agents makes more sense. A large variety of products are used for teeth whitening both in office as well as for home application. When recommending the majority of these products, dental professionals also discuss possible sensitivity with patients. The discussion of possible outcomes includes not only the cosmetic results but also the sensitivity that might occur in the process. During this discussion, products for combatting the potential issues should be explained. If a patient is sensitive, there is less likelihood that they will complete the whitening process. In addition, if they get to that point, it is less likely that they will move on to complete the remainder of the treatment plan. One treatment feeds into the other, so a happy, pain-free patient is the patient who is more inclined to complete a recommended treatment plan. Additionally, we know that when patients are not comfortable their oral hygiene care often lacks effort. Their toothbrushing efforts are diminished, which allows for plaque and bacteria buildup, leading to demineralization and the potential for an increase in caries. 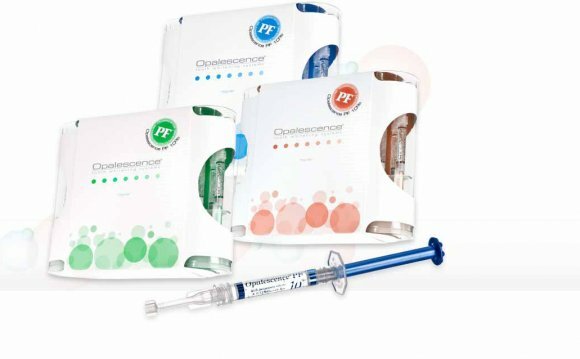 The right products recommended by the dental team can address pain, lack of good oral hygiene, increased plaque, increased risk of caries, and the recommendations become a priority to consider before, during, and/or after the whitening process. We are familiar with the remineralization products available, so put that knowledge into action.